Long queues at checkpoints between Ukrainian and separatist-controlled territories have long been a serious issue in the Ukrainian conflict, posing near as much danger to civilians as the artillery shells traded every night by the dueling armies. In the winter, with temperatures well below freezing, this problem is more perilous than ever. This is especially true considering the fact that only five Ukrainian-controlled checkpoints are currently operating for the millions of citizens who have either been displaced from their homes in the Donbas or still live in occupied territories. 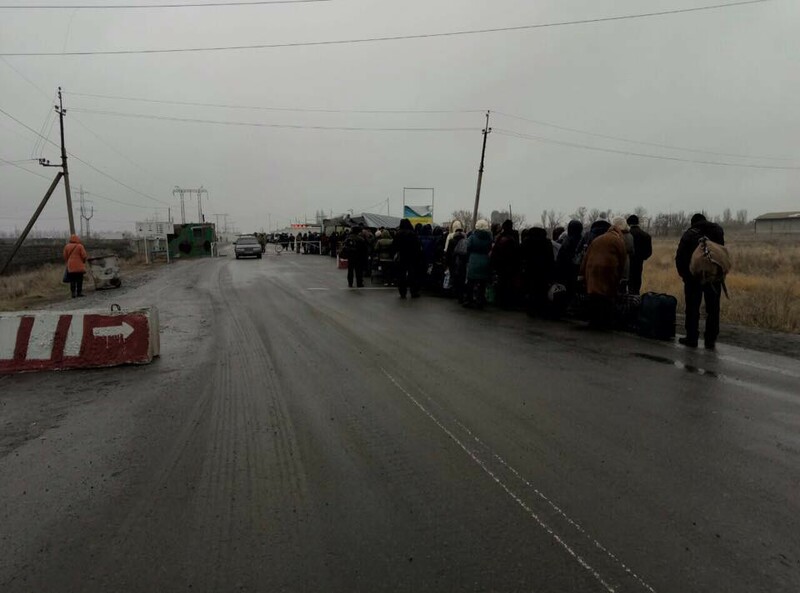 The five Ukrainian-controlled checkpoints that are open at the time of this article — Mayorsk, Maryinka, Novotroitske, Gnutove, and Stanitsa Luhanska —clearly cannot handle the number of people attempting to pass between territories, and require hours of waiting in freezing temperatures for those who do make it through. 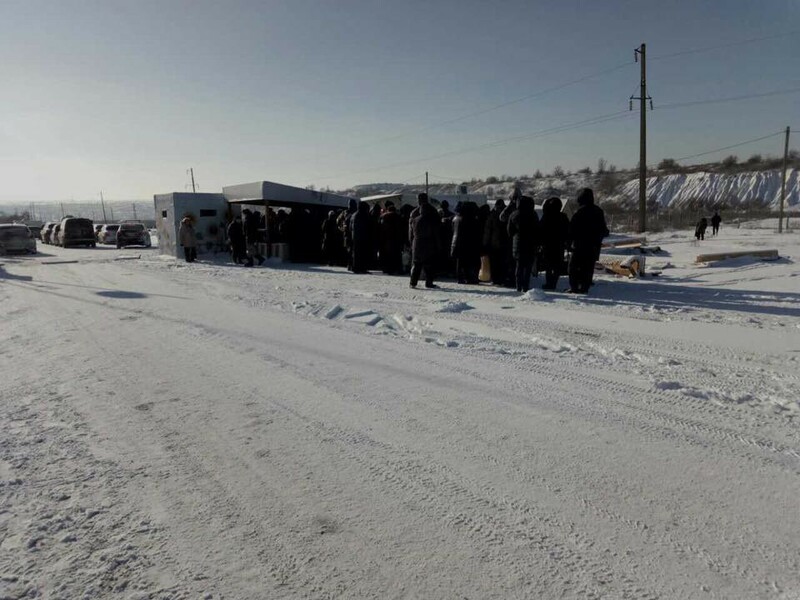 On Saturday, December 17, the civil organization Fundatsiya.101 (Foundation 101) shared a harrowing picture from the Mayorsk checkpoint, reporting that over 1,000 civilians were in line, waiting in heavy winter clothes at -5°C. Due to the long waits and sparse availability of crossing points, a number of groups have sprung up on social media for locals to share information on the current situations around the checkpoints, and daily reports are printed on news sites to gauge the situation each morning. Photographs and videos from monitors and civilians show a grim picture at the checkpoints, with serpentine queues of vehicles extending hundreds of meters and civilians being exposed to freezing temperatures for prolonged periods of time. Two weeks ago, a user on YouTube shared a video of a long queue from separatist-controlled territory towards the Novotroitske checkpoint. 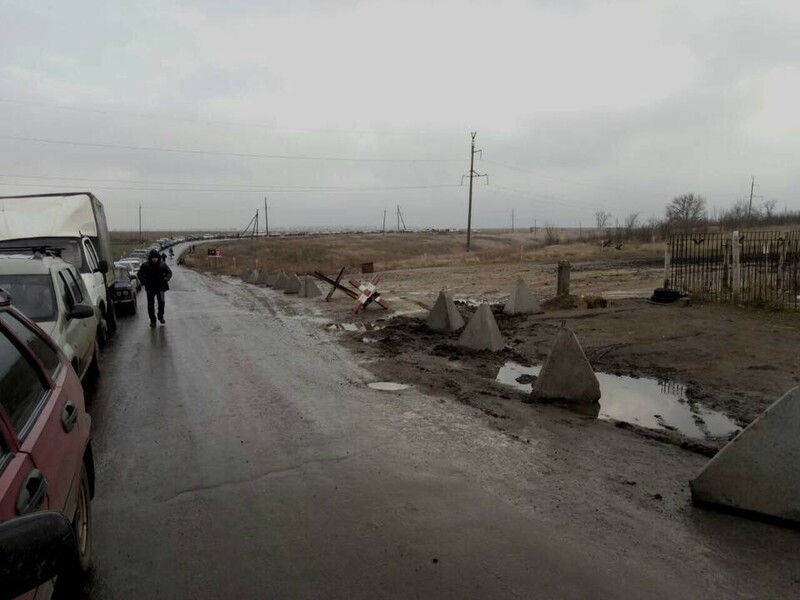 This same checkpoint was hit by a shell, likely launched by Ukrainian forces, months ago, leading to several civilian casualties (for more information on this incident, see a previous DFRLab investigation). 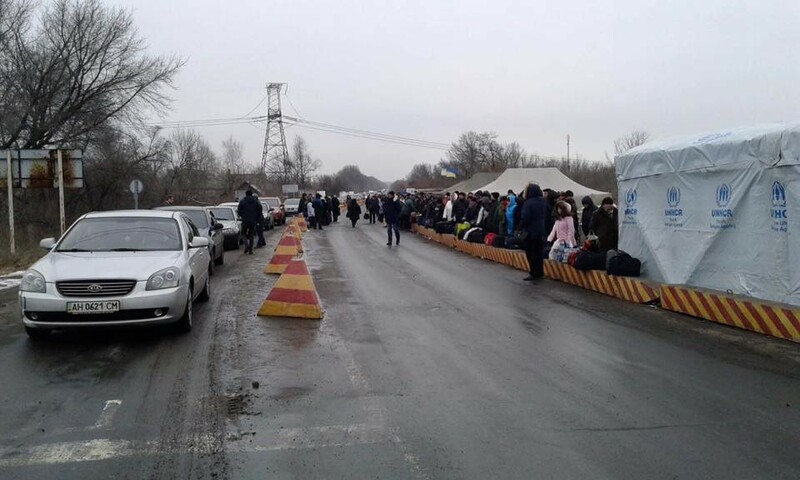 Despite a stipulation of Minsk II requiring “a full restoration of social and economic connections,” it is hard to make the case that this has happened with thousands of civilians risking their health and safety in prohibitively long checkpoint queues. The frigid temperatures are not the only problem, as violence continues to take place at crowded checkpoints, as described in a previous DFRLab investigation, “Deadly Congestion at Ukrainian Checkpoints.” This violence has not stopped with the onset of winter, as a civilian died after unidentified separatists reportedly opened fired at the Mayorsk checkpoint on the morning of December 14.